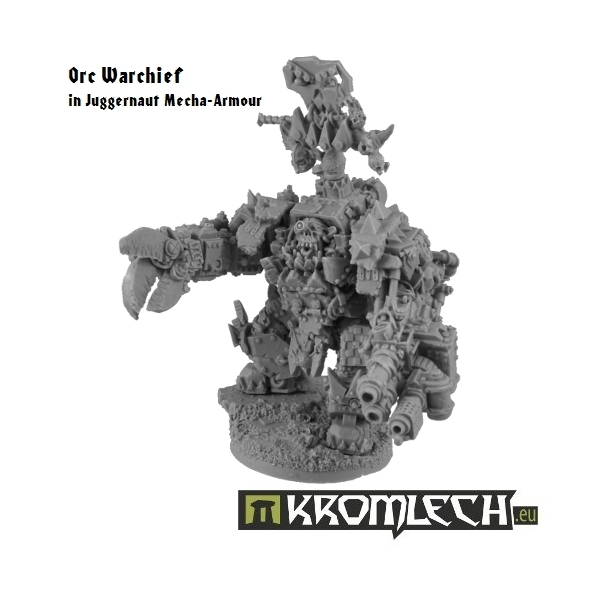 This set contains one HUGE orc Warchief in massive Juggernaut Mecha-Armour. 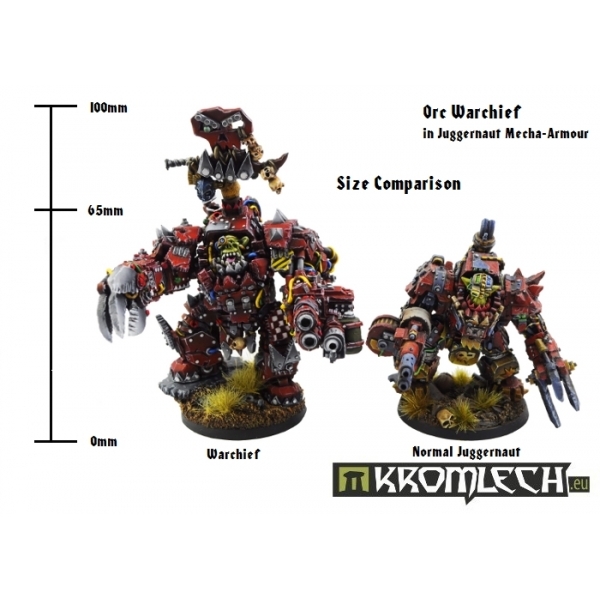 Check size comparison pic for approximate dimensions of Warchief model and see how he towers above our ordinary Juggernaut Mecha-Armour. 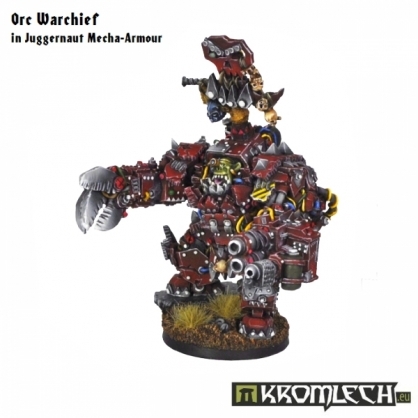 Kit contains 20 insanely detailed parts full of power cords, bolts, pipes and hydraulic cylinders. 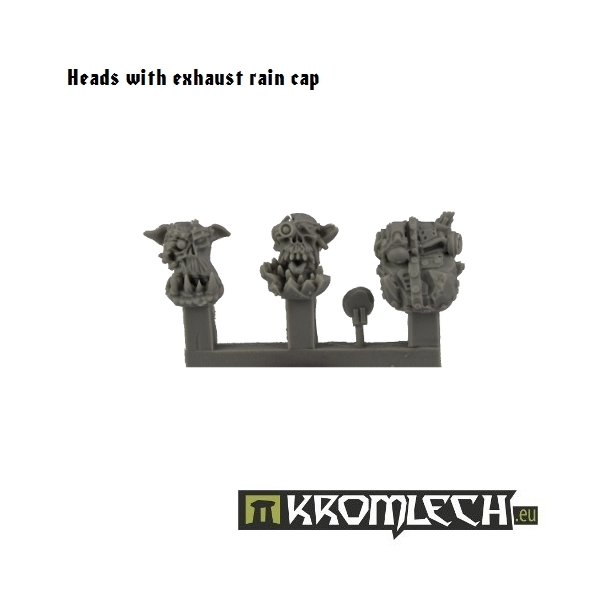 You can also find few skulls here and there. 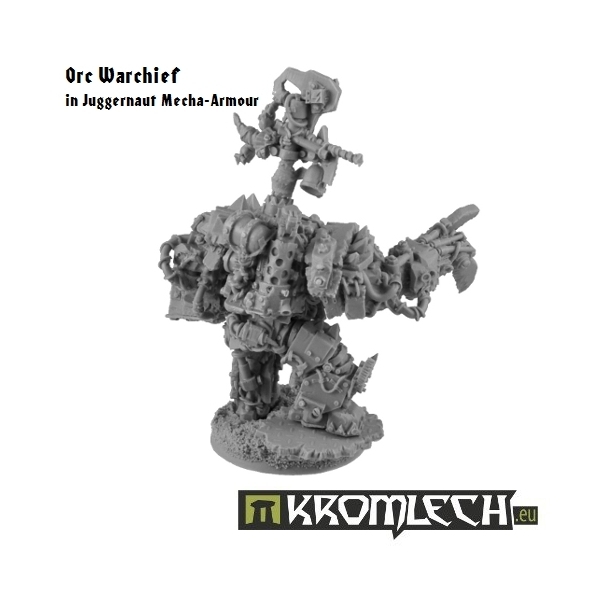 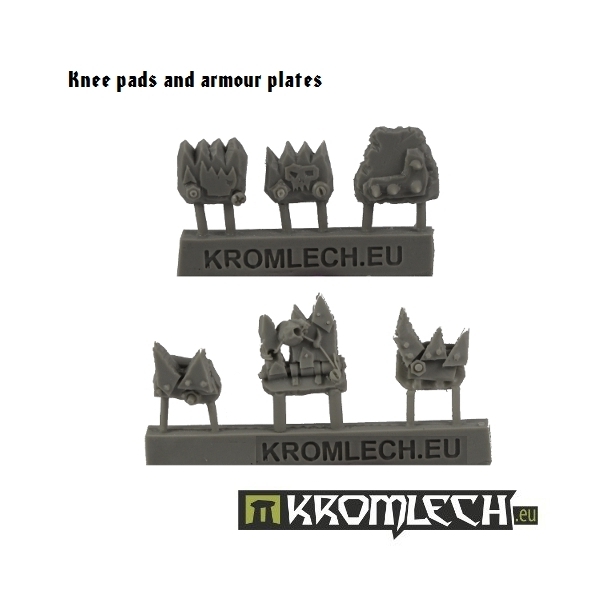 Here's full list of parts included in Warchief set: scenic base, legs, torso, right arm, pointing Crusher, left arm with double barreled machine gun, trophy pole, three heads (one enclosed and two bare), two sets of knee guards, two armour plates designed to protect area between the legs :), exhaust rain cap, combi flamer add-on, kombi rocket add-on and small cover plate to glue to the gun when you are not using rocket or flamer add-on.